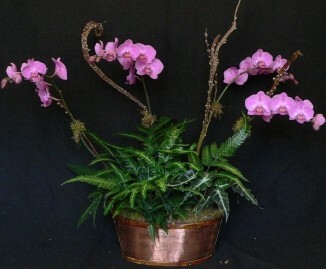 Grafe Studio Floral Artists provide the Chattanooga area with fresh cut flowers, phalaenopsis orchids, and other plants as well as offering classes in floral design and plant care. Our flowers and plants can be found at The Grocery Bar on Main St, The Village Market in Collegedale, Erlanger Gift Shop on the Main Campus, The Gift Shop at Erlanger Women's East, Hutcheson Hospital in Fort Oglethorpe, as well as at our studio in St. Elmo. Dennis and Betsy started Grafe Studio Floral Artists in 2004 as a way to supply a local organic grocery store with fresh cut flowers. Since that time, their business has expanded to two local markets, three hospital gift shops, and a busy studio. The Grafes employ two full-time designers and three part-time employees and have an outstanding reputation for quality and service in the Chattanooga area. Proudly serving Chattanooga, Tennessee and the surrounding area, we’re a premier full-service florist that is family-owned and operated. We hope you enjoy your online shopping experience with secure 24-hour ordering right at your fingertips. If preferred, you may call us to place orders direct at 423-468-4172. 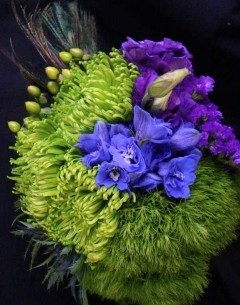 When You Need Something Special, Like Beautiful Wedding Bouquets... Fresh Flowers to Express Sympathy... or Wonderfully Unique Gifts for Any Occasion... GRAFE STUDIO FLORAL ARTISTS Have It All! * Wedding Flowers and Party Flowers from GRAFE STUDIO FLORAL ARTISTS will ensure your special day is a blooming success!! 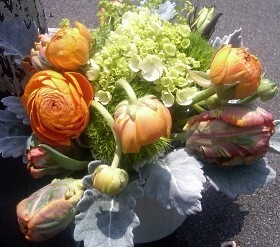 Call us in advance at 423-468-4172 to set up an appointment with one of our floral professionals. 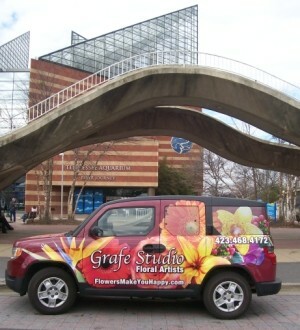 GRAFE STUDIO FLORAL ARTISTS are open to serve your floral and gift giving needs. Call or visit us today… we look forward to meeting you! Thank you for visiting our website for flowers delivered fresh from a local CHATTANOOGA, TN florist and easy online ordering available 24 hours a day.